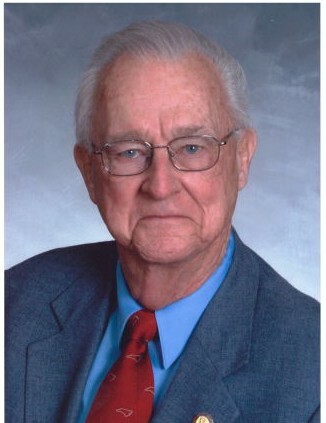 Douglas Yates Yongue was born March 20, 1937 in Lumberton, NC and passed away March 21, 2019 at Scotland Memorial Hospital in Laurinburg, NC, after a brief illness. He was preceded in death by his parents, Robert Eugene Yongue, Jr. and Elizabeth Gibson Yongue and his brother, Robert Eugene Yongue, III. He married Mildred Hurley Yongue on August 20, 1961. In addition to his wife, Doug is survived his son, Douglas Yongue, Jr., and wife Stacey of Laurinburg, daughter, Beth Yongue and husband, Jim Knight, honorary daughter, Katie Stanley and husband Duane Hall, all of Raleigh, and his doberman pinscher, Doby. Doug graduated from Laurinburg High School and Edwards Military Institute. He received his bachelor’s and master’s degrees from East Carolina University and his doctorate degree in education from Nova University. He spent 33 years in public education serving as teacher, coach, principal and superintendent. Doug was also a licensed contractor and real estate agent. He built many homes in Scotland County and nearby communities, and was an accomplished wood worker. From 1994 to 2011, Doug served in the North Carolina House of Representatives, focusing on improving public schools in North Carolina. He chaired a number of commitees, including Education, Appropriations and Ethics. Doug was a charter member of Saint Luke United Methodist Church in Laurinburg, NC. He was active in the North Carolina Public School Forum and traveled to several foreign countries to study their educational systems. In lieu of flowers, memorials may be made to Saint Luke United Methodist Church, 1501 Turnpike Road, Laurinburg, NC 28352. Visitation will be Sunday, March 24, at 2:00 p.m. at Saint Luke United Methodist Church fellowship hall. A celebration of life will follow at 3:00 p.m. in the sanctuary. Immediately following the service, burial will be at Hillside Memorial Park.